"Shipping, Transportation and Trade: Current Advances and Market Perspectives"
The Department of Shipping, Trade and Transport of the University of the Aegean, is hosting its new Summer Course “STT CAMP 2015: "Shipping, Transportation and Trade: Current Advances and Market Perspectives". The aim of the course is to provide transport researchers, PhD students and young professionals with a thorough foundation on how shipping and transport markets work and where new business perspectives derive from. The course offers advanced knowledge to comprehend the rapid changes in the shipping and transport market structure, identify their drivers and better understand strategies of world shipping and transportation leaders. A teaching staff of 30 Professors and Lecturers will run 24 theoritical and applied lectures and tutorials combining innovative interdisciplinary scientific methods with state-of-the-art case studies, participative business games and workshops. Finally, a number of Educational/Technical visits in Athens and Piraeus on the 6th and 7th of August 2015 will complete the whole program. The Educational and Technical visits relate to topics of Maritime Policy and Port Management. This specific part of the program is addressed to participants from Shanghai Maritime University, based on a specific collaboration agreement with the University of the Aegean. Participants can apply either for the whole STT CAMP 2015 course or for one of the two Thematic Units offered. The course offers participants an excellent opportunity to explore the key aspects of shipping business through interactions between academia and the business real world. - Successful completion of Unit 2 corresponds to 3 ECTS Credits. 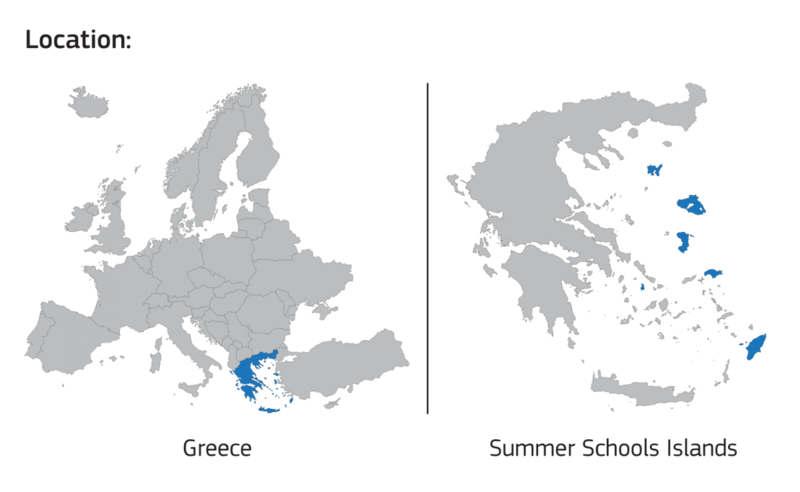 STT CAMP 2015 is supported by the University of the Aegean project “The University of the Aegean, the prominent and driving factor for the economic and social growth of the wide Aegean area” of the Operational Programme “Education and Lifelong Learning”, which is co-funded by the European Union (European Social Fund) and National Resources. The course is open to participants on a first come-first served basis. The maximum number of attendants is limited. Registration is due by 2015, July, 15th. - For Unit 2 attendance: 400 Euros.